Wines from one of California's fastest growing regions. Quality and comfort are synonymous in Paso. If planning a wine adventure this summer,this laid back region may be ideal for you. From the newly remodeled “Just Inn” at Justin Winery, to the inviting Paso Robles Inn, or one of the quaint B&B’s in town, Paso is designed for relaxing. Add in chefs who focus on farm-to-table cuisine, and this wine country destination has become a favorite for wine lovers and travelers. SMU Geology graduates and Dallas residents Bill and Liz Armstrong know a lot about good dirt. When they looked for the ideal place to grow the Rhone varieties they loved, they found a pocket of perfection in Willows Creek, Paso Robles. 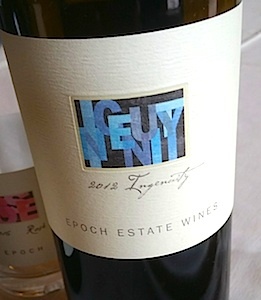 Here they started Epoch Wines, planting their first vineyard in 2004. 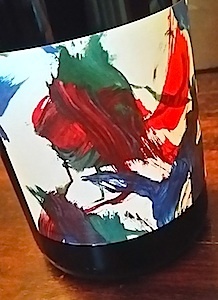 Now, with three vineyards dotted throughout the region, the charming, passionate couple, along with Winemaker Jordan Fiorentini, are producing terroir driven wines that celebrate Paso. I asked why they make the wines they do, and quite simply, they make them to drink with structure, finesse, and character. Luckily for us, they also have great taste. Available at Sigel’s. Longtime Paso family winery, J Lohr, was started by Jerry Lohr in 1986 after finding success in Monterey County throughout the 1970’s. St. E blend from Paso is always a favorite. With a Right Bank Bordeaux style, leading with Cabernet Franc, the wine is luscious, floral and balanced. $50, available here. 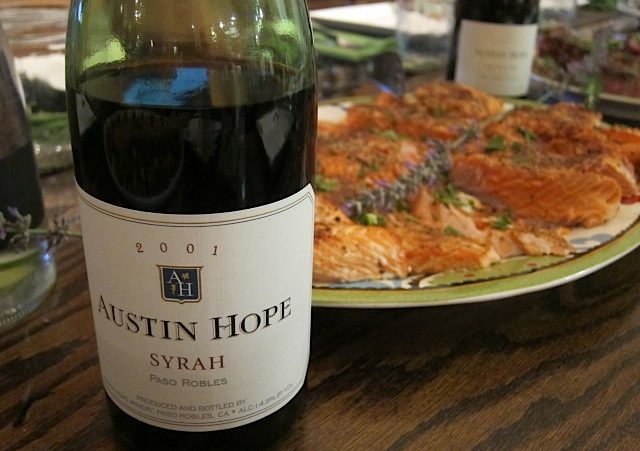 From Hope Family Wines, Austin Hope Syrah is grown in Paso’s Templeton Gap, 20 miles from the Pacific with rocky soils, much like the Rhone Valley. The resulting wine is intensely earthy, with the structure I expect from Hope Family Wines. $55, here. Justin Cabernet Sauvignon delivers classic Californian Cabernet flavor, without the high price tag. Estate grown and produced, the easy drinking wine is filled with ripe cherry, blackberry, coffee and leather notes. $25, widely available. The rocky hillside vineyards of Adelaida, from the Adelaida district 14 miles from the Pacific, brings elegance to robust, full bodied Rhone varieties. Mourvedre, in particular, can be tannic and untamed. Yet thanks to the elevations, with cool nights, there is freshness in Adelaida’s Mourvedre, refining the robust palate. $50, here. 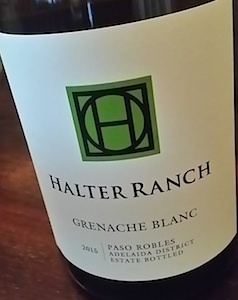 Also in the Adelaida district, Halter Ranch Ancestor red blend is a slightly spicy, smoky pairing with slow cooked barbecue favorites, and their juicy, fresh, aromatic Grenache Blanc white begs to be sipped all summer. Peachy Canyon Zinfandel melds the spice and pepper of earthy Zinfandel, with the juicy, fruity easiness you look for in an easy going Zin. 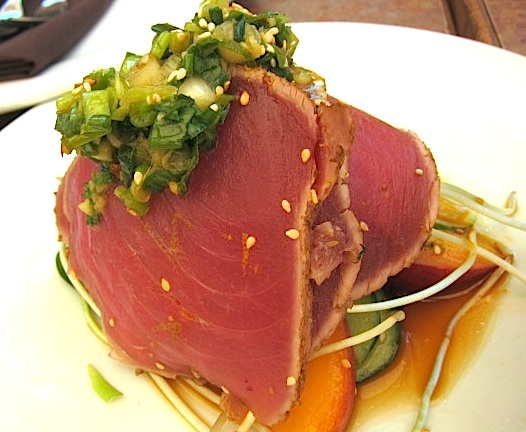 Barbecue friendly, the wine melds easily with smoked brisket or flatiron steak. $20, widely available. Sunshine filled Paso Robles Sauvignon Blanc melds citrus and gooseberry fruitiness with mineralic, earthy grassiness. And, often at very reasonable prices. A few to keep an eye out for include Ancient Peaks, Justin and Niner. Available at Total Wine. 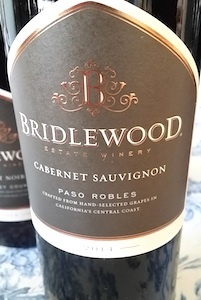 Hot summer temperatures contribute ripe blackberry and currant notes to Bridlewood Paso Robles Cabernet Sauvignon for a juicy, easy going wine. $18, widely available.